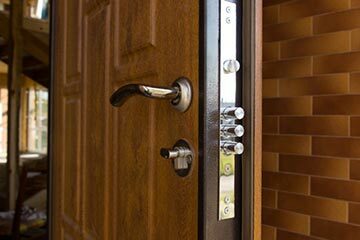 As a professional locksmith with more than 8 years of experience, I feel that I can give some good advice to locksmith’s customers. The first thing that I would like to start with is the phone call before you call a locksmith you need to make sure to have as much information that you can have on the lock issue. That can help the locksmith to give flat prices and more accurate ETA. For example, if you are locked out of your house try to check what type of lock you have on the door and what is the brand of the lock, that can help the locksmith to know if you have a standard lock or a high-security lock that will make a price difference. Also if you call to ask about prices its good to know what kind of service do you need, a lot of times I get calls from a customer that asks a general question and wants an exact price, for example, “how much is it to change a lock”? Well, there are many answers to this question and many options for the customer, the first question that I will ask back is if the customer wants to change the whole lock or just to rekey the existing lock to a new key? For a business owner that fired and employ that will be the best and the cheapest solution, for someone that he’s lock is old an broken the solution might be to change the whole lock.